Looking for a fun, modern and memorable treat for your pre-teen or teen? I can help! 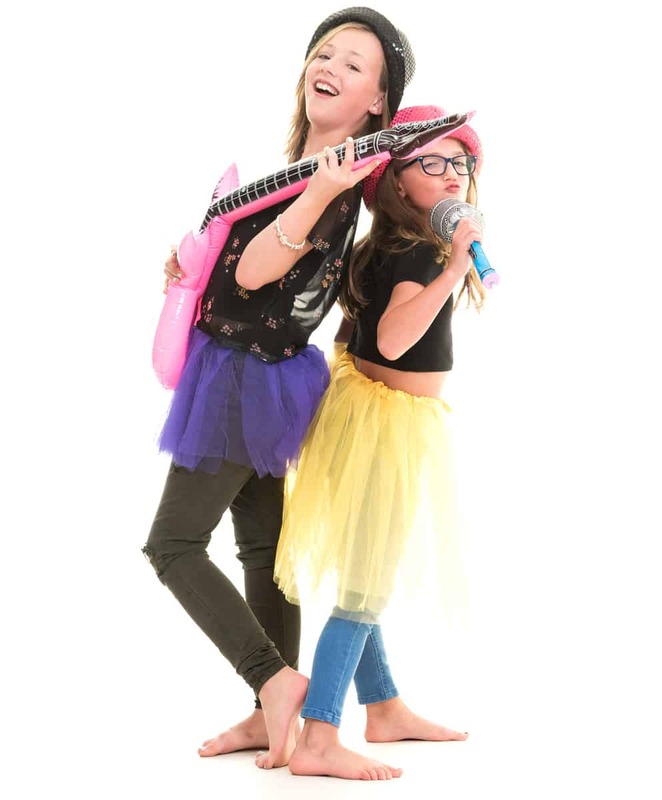 The huge photo studio at Enchanted Photography is perfectly suited to groups of kids looking to celebrate a birthday, mark that final primary school year, integrate into a new school or to celebrate great grades. Led by myself, Gemma, I have designed the photo parties to be fun and natural with equal time to ‘play’ as well as pose. For the parents there is space for you to escape to and relax with a cuppa if want to give your ears a rest from the photo shoot madness for a short while! Prices start as little as £175 and include the photo shoot, party drinks and snacks as well as high resolution digital images to keep. Enchanted Photography offers everything you need. If you have any questions, or you would like to book give me a call on 01622 828320. The Enchanted Photography Parties take place in the largest photo studio featuring a HUGE five meter wide white photoshoot cove, as well as multiple background choices including coloured, brick and graffiti walls. Your session also includes use of the on site changing room big enough for all your friends to get ready together, sockets to plug in your hair straighteners and mirrors for everyone to pamper themselves at the same time. A wide range of props can be used to funk up the sessions with everything from inflatables to neon tutus. Posing stools and chairs allow for some calmer and classier portraits for those preferring something a little more serene. The disco ball and speakers are located directly above the white background to open and close the party with your favourite tunes and some selfies. From start to finish I am on hand to make sure your party goes amazingly. All bookings start with a telephone consultation where we will discuss ideas for themes and clothing. I will share my experience about what works and what doesn’t as we refine ideas that are personal to your group. Upon arrival the disco ball will be on and drinks and snacks will be ready for the attendees, and it’s time for the party to start. Whilst some guests will be strutting their stuff in no time, I understand that others need far more guidance so I am there to help with posing ideas but most importantly to ensure everyone is having fun. We wrap up with a little disco ball time as everyone gets their bits together before you head out to have some pizza, a sleep over or whatever other exciting plans you might have. Over the next week I will then sort the images to shortlist the best from the session, applying gentle editing on the images to make colours pop and everyone shine! You have the option to add on a photo viewing session for £25 if you wish to choose your preferred images, or you can leave it to the photographers discretion to choose the best images for you. Why choose Enchanted Photography Parties for your special occasion? From start to finish, it’s all about the party experience. Enjoy a warm welcome with speciality drinks and snacks upon arrival and the disco ball on ready to start your party. Balloons, tutus, inflatables and more are available to accessorise your session. The huge changing room, suitable for many people at once, keeps the party atmosphere flowing from start to finish. Our huge premises allows plenty of space for excitable girls to spread out all their accessories, to get ready in the huge changing room, and to strut their stuff in the studio with multiple backgrounds to personalise the photos. At the same time parents can relax in the kitchen area or lounge with a coffee and have a relaxed chat if they wish to avoid the madness. No party is ‘one size fits all’. From the early booking stage I will want to know about the group, how they know each other and what styling would best suit them. Whilst many groups love space hoopers, hula hoops, onesies and neons in fun and funky poses, just as many will keep it calm and classy in pretty dresses for timeless photos that celebrate their friendship. It’s all about your group! Whilst it is important to recognise that photo parties need to focus heavily on the experience factor as this is what makes the day memorable, I never lose sight that quality in the product and service is equally important. The studio facility and equipment used is chosen to ensure the images taken are worthy of being on the walls of your home and not just hidden in your daughter’s bedroom. Smooth and clean backdrops with high quality props, alongside professional camera skills and retouching will leave you with images that will be treasured forever. Enchanted Photography is located just ten minutes from the M20 motorway and Maidstone town centre, next to the new Langley Park development and the Royal Mail Depot. There is parking directly outside for your convenience. Thank you for taking the time to find out about the Enchanted Photography teen photo parties. I would love to answer any questions you might have and to check availability for you.